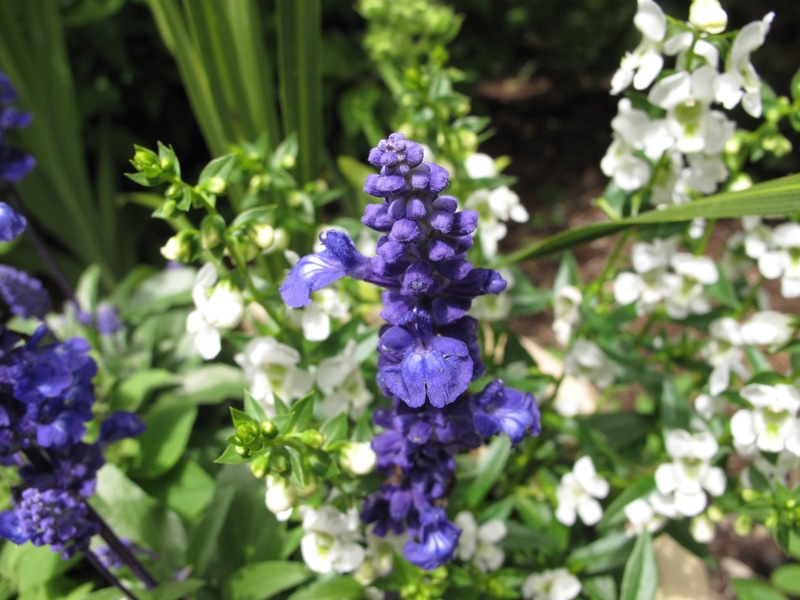 This entry was posted in garden and tagged annuals, Phlox 'Intensia Blueberry’, Velocity Blue Salvia (blue sage), wordless wednesday on May 25, 2016 by pbmgarden. You’ve made the salvia look so majestic! Love the color combinations. I do more and more in containers each year and love the variety! Thanks Libby. Used that salvia in another pot with salmon geraniums. I’m hoping that salvia might overwinter. They are fun to plant. I don’t tend mine afterward very well. In a couple of weeks I’ll have forgotten about mine, so hope it rains regularly. I have mixed success with containers but decided to give it a go. Seeing that salvia at the garden center spurred me on. Oh yes, nicely done! 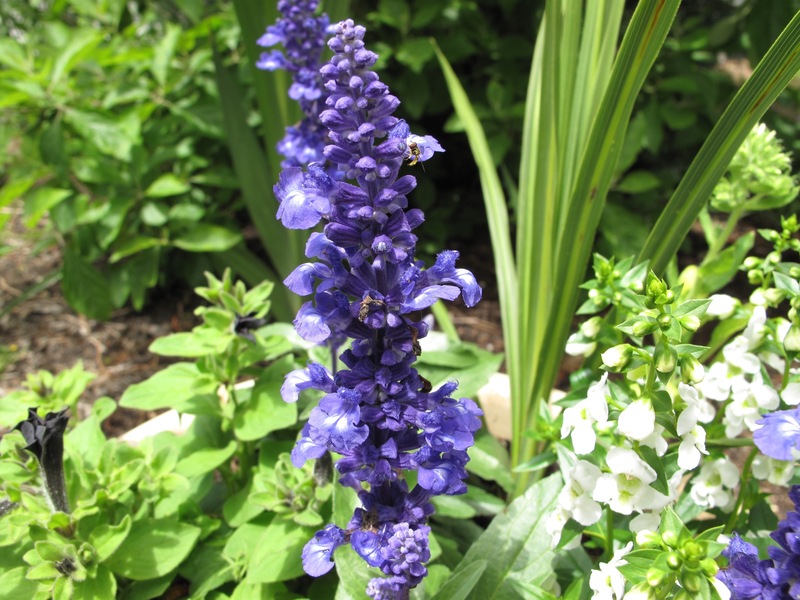 I planted Angelonia again this year, too. It’s great for potted arrangements. Love your color combination, too! Thank Beth. Angelonia is so reliable, isn’t it? I love the phlox. Unfortunately, it’s another plant that doesn’t grow well here – it either mildews or incinerates in the hot sun. That’s too bad Kris. I haven’t tried this annual phlox before. Not sure it will make it through our hot summer either but couldn’t resist. A vase to help lift the ‘Blues’! Blues are favored in my garden. 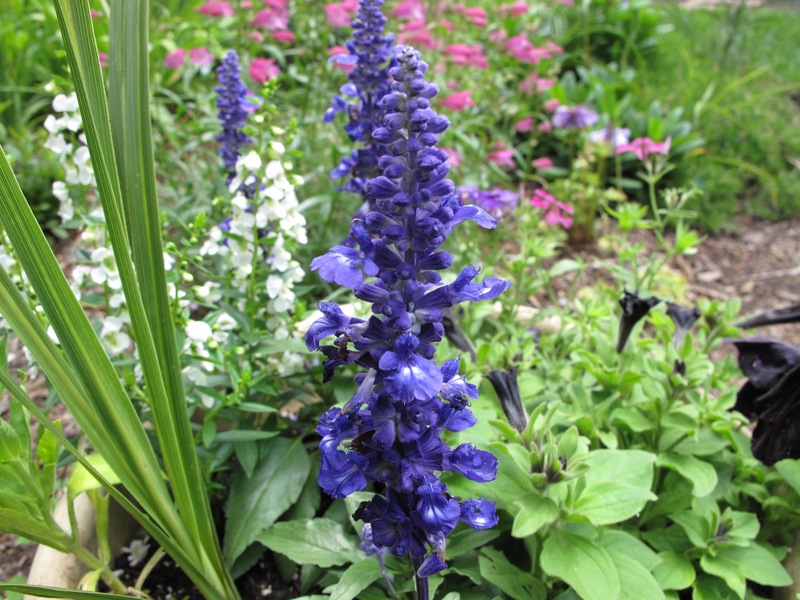 I have high hopes for that salvia–hoping it will overwinter. Lovely colour combinations. You do have an eye for colour Susie. I was drawn to these plants at the garden center. 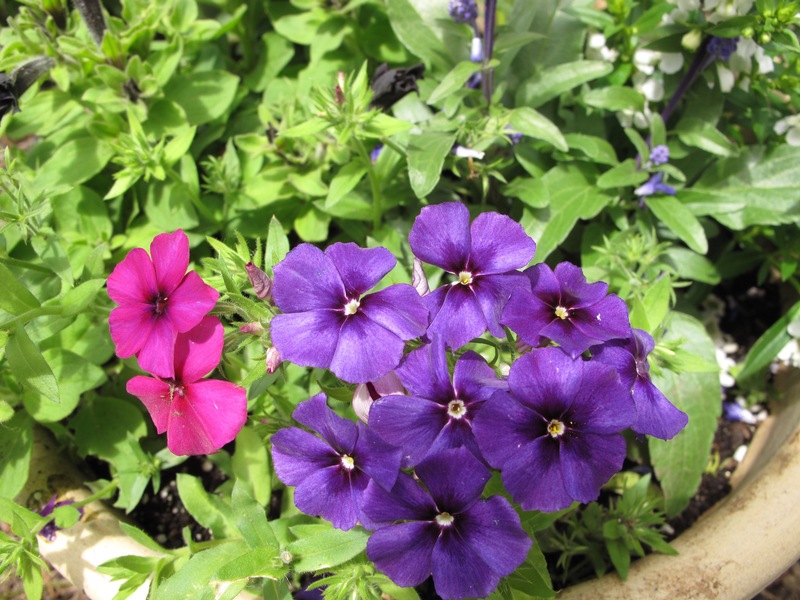 That petunia is almost black, I can’t resist any phlox, and the salvia color sealed the deal. A beautiful Salvia. 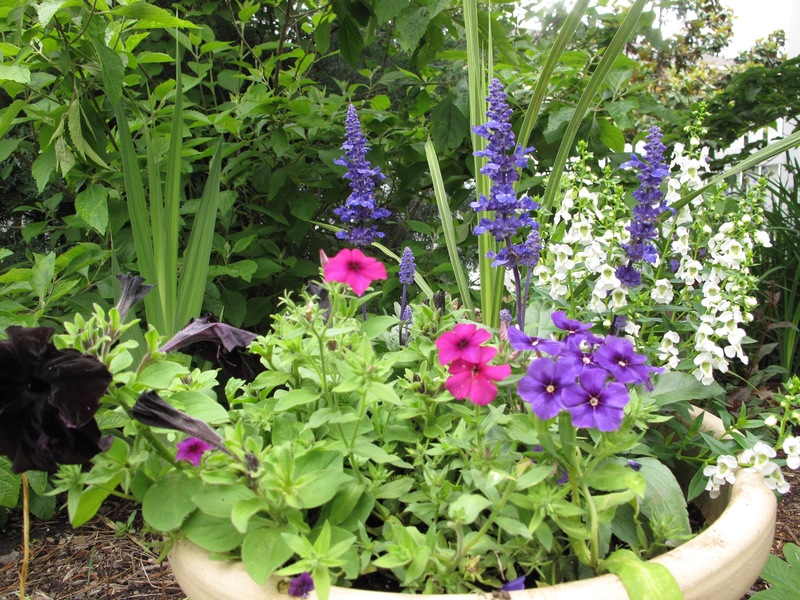 I just planted a ‘Black and Blue’ Salvia in one of our containers.